Communities Secretary Eric Pickles today set out his plans to shake up local services as part of the Government’s efforts to turn around the lives of 120,000 most troubled families. These families make up less than one per cent of the population, yet they are costing the economy over £8 billion a year. In a keynote speech to council leaders, Mr Pickles said that when you unchain local agencies from Whitehall bureaucracy it adds up to local energy, local initiative and local innovation. The Government wants to see more local areas joining up their local services efforts, as evidence shows this can help turn the lives of families around. This Community Budget approach is being rolled out countrywide and will play a vital role alongside other measures to help problem families. Instead of the traditional single agency silo approach costing local services up to £330,000 per family a year ministers want to see one co-ordinated and integrated intervention at an average of £14,000 per family used. This creates a better service and yearly costs plummet by £70,000. The Prime Minister has set out his ambition to turn the lives of these families around by the end of Parliament. Last week it was announced that Louise Casey CB will spearhead a new troubled families team in the Department for Communities and Local Government to deliver tangible and rapid progress. The moment some children are born their life chances are simply written off. From day one their lives are defined by the problems that surround them - drugs, alcohol, crime, mental illness and unemployment - they grow up in chaos and their own lives are chaotic. During the summer riots the whole country got a sudden, unwelcome insight into our problem families - the ones that make misery in their communities and cause misery to themselves. It’s a story of futility and waste. Waste of money. Waste of people. And it has simply got to stop. We are going to stop it. We can no longer afford the luxury of fruitless, uncoordinated investment. The damaged lives and communities. We need action and results - not endless restating the problem - like getting kids back to schools, adults into employment, stopping criminal behaviour. Mr Pickles also challenged councils to push further in their efforts to integrate local services so they work better for residents, reduce waste and deliver better value for money. In addition the Communities Secretary announced details of how areas can bid to trial two new ‘localist’ approaches to integrated services. He will describe this dramatic new shift as “an opportunity to change the future of the way public services are funded and be the thumping heart of your community”. A Community Budgets prospectus published today sets out the details for how pilots will be selected by the end of the year. 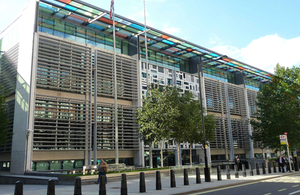 Each area will get dedicated support to break through Whitehall’s bureaucracy so proposals could be up and running by April 2013. One Salford family required 250 interventions in one year including 58 police call-outs and five arrests; five 999 visits to Accident and Emergency; two injunctions; and a Council Tax arrears summons. Their Community Budget led to the £200,000 cost being cut by two thirds. Cost of problem families explained: www.communities.gov.uk/publications/housing/antisocialbehaviour2. Announcement of the new troubled families team: www.number10.gov.uk/news/new-troubled-families-team/ (external link). In June 2011 the Deputy Prime Minister invited councils to sign up for Community Budgets. Around 50 more authorities will get Community Budgets this year and then at least a further 60 in 2012-13. This follows the success of sixteen pioneer areas that have put in place plans to support the first 10,000 families. So far over one hundred and eleven councils are already getting involved in this community budget approach accounting for 70 per cent of problem families across the country. The new Community Budget pilots will be run locally and not by Whitehall - breaking control from Whitehall and the strings that constrain local innovation, the pilots will create a new way of doing business with local leaders and people shaping local services around local needs in a new relationship with Whitehall. All areas and their local public service partners can challenge the way things are currently done and transform the way public services are provided so they more closely meet the needs of those communities, give them more control over those services and provide better services for less. The Community Budgets prospectus can be found here: www.communities.gov.uk/publications/localgovernment/communitybudgetspropspectus.